This item is part of Energetic Lighting LED Canopy Light series. 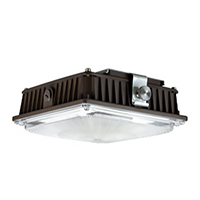 It is an ideal item for overhead task lighting, commercial locations, general lighting, and warehouses. You will be expected to receive 50,000 life hours for this product. 65 watts.